After introducing The Hawks and Vandal Savage in this week’s big Arrow x Flash Crossover event “Heroes Join Forces”, The CW has timed things right and released a brand new poster and trailer for next year’s new Superhero TV Spinoff show in “DC’s Legends of Tomorrow”, which will feature characters from both Arrow and The Flash as well as brand new ones traveling throughout time to save our world and beyond! Check out the new trailer courtesy of The CW. 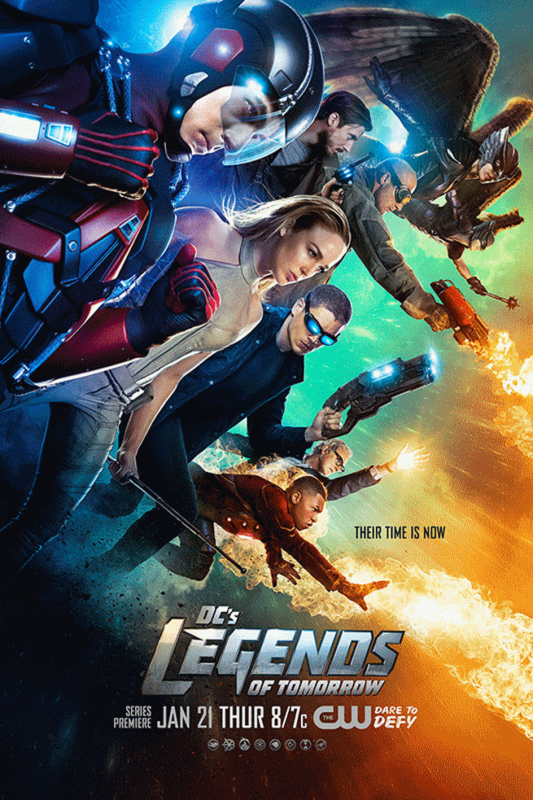 Based on characters from the DC Comics Universe and set to premiere on the same week when Arrow and The Flash return from their midseason breaks, Legends of Tomorrow has an all-star cast of talents in Brandon Routh, Victor Garber, Caity Lotz, Wentworth Miller, Arthur Darvill, and Casper Crump, as they star in a new series that only expands the growing DC TV Universe that began with Arrow and is collectively known to fans as the “Arrowverse”. Gathered together by a rogue time-traveler from the future known as Rip Hunter, individuals such as The Atom, Captain Cold, Heatwave, Firestorm, White Canary, Hawkman, and Hawkgirl are tasked with helping him travel through time to prevent an immortal named Vandal Savage from not only endangering time itself, but everything as we know it. Legends of Tomorrow premieres on The CW starting January 21, 2016 and airs every Thursdays afterwards.